Updates to George H's profile since your last visit are highlighted in yellow. Math grad school MA, ABD. George H Stein has a birthday today. New comment added. George H Stein posted a message. New comment added. Happy Birthday, Don! And thanks for all the work in putting together our class notes. Read them religiously! George H Stein posted a message. George H Stein added a comment on his Profile. Hi, Frank... and Happy Birthday. Planning on a trip to London for London Metals Exchange Week in early October. Will let you know as plans firm up... but let's meet if we're both in the same neck of the woods. George H Stein has a birthday today. Such a wonderful Reunion and thanks to all who made it possible. Renewing that special Swarthmore connection with so many I hadn't seen for years was such a joyful time! George H Stein updated his profile. View. George H Stein changed his "Now" picture. New comment added. George H Stein has left an In Memory comment for Candida Fraze. Candida M. Fraze, 69, native of Washington, DC, died on August 8, 2014 while swimming in the waters off Prince Edward Island, Canada. A poet, novelist and voracious reader, she was a fearless traveller, skillful gardener and lover of nature, art and all things beautiful. Candida is survived by her husband of 46 years, Peter Moskovitz, sister Pat Kellogg, children David and Zoe Moskovitz (Dan Huish) and two granddaughters, Eleanor Moskovitz and Angelica Huish. George H Stein has left an In Memory comment for Geoffrey S Joseph. Geoff Joseph was one of the intellectual leaders of our class -- and that's among so many bright minds. He achieved Highest Honors with a major in philosophy But perhaps less known was his skill at ping-pong -- played at Mary Lyons 4, and poker. After Swarthmore, he pursued an academic career and wound up in Los Angeles, where we reconnected in the mid-1980s while I was at the Los Angeles Times. But his personal life was fraught and he took his life. To this day, I wonder regretfully if I could have somehow helped him. George H Stein has left an In Memory comment for Samuel C Newbury. Samuel Chamberlin Newbury, who was producer of Mister Rogers' Neighborhood and Director of Production at Family Communications, Inc. for 28 years, as well as an accomplished artist, a leader in the Pittsburgh arts community, and an elder at Sixth Presbyterian Church, died May 22, 2014, at his home in Point Breeze. He was 69, and the cause of death was cancer. Mr. Newbury began his television career as a documentary cameraman for Jim Lehrer at KERA in Dallas, Texas, moving to Pittsburgh in 1974 as a cameraman at WQED. His work there included the production of a National Geographic special about Hong Kong with legendary filmmaker Robert Young, before beginning his close collaboration with Fred Rogers. He was producer of MISTER ROGERS' NEIGHBORHOOD from 1981 until 1986 and then became Director of Production for Family Communications (now The Fred Rogers Company). In the latter role, he led the expansion of Rogers' work and scope beyond broadcast television and into a wide arena of professional training for the benefit of children and families dealing with the emotional ramifications of illness, prejudice, anger. A practical, disciplined, New Englander and, at the same time, an artist and a connoisseur of the arts, he was an able manager of business affairs for Fred Rogers and his company while simultaneously helping to design early, innovative uses of new technology in the burgeoning field of video training and professional development in support of young children and families. Since college days, Sam had a lifelong commitment to social justice, inclusiveness and community building which found expression not only in his professional life but also in his personal life. 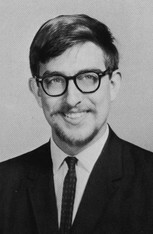 He was an active participant in the spiritual and religious life of Pittsburgh, particularly as a choir member and engaged congregant at Sixth Presbyterian Church in Squirrel Hill, and as an active participant in Interfaith Dialogue, an ongoing collaboration between Muslims, Jews and Christians in the East End of Pittsburgh. Despite deep family ties to Boston, he was born and lived in Concord, MA until he went to college, Sam thought of Pittsburgh as his true home. He loved the intimate neighborhood near Frick Park where he lived for 34 years. He was an avid and knowledgeable gardener and birdwatcher. Music was one of his several passions. He learned to love country western music during his years in Dallas, but early classical music trumped all else, leading to his long commitment to the Chatham Baroque Society for whom he served several years as a board member and for whom he produced and directed videotaped performances. 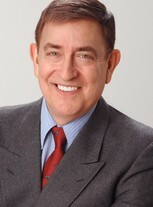 He was awarded WQED's VITA award in 2012 in recognition of his service to the organization. He began his work as a ceramicist while attending Swarthmore College (a 1967 graduate) and met his wife, fabric artist Jan Myers, at the Haystack Mountain School of Crafts in Deer Isle, Maine, while studying ceramics there in 1986. In retirement, he was devoted to his craft, especially to the communal activity of wood firing his pottery, and was a board member of Touchstone Center for Crafts in Farmington, PA where many such wood firings take place. He was a committed and fiercely proud father to his son, David, and an avid soccer parent in support of David's dedication to the sport. During the challenging months of his final illness, Sam's greatest pleasure was to watch soccer games on television with David and with Max, their loving mutt, close by, with the occasional glance out the back window to his beautiful garden, or out onto the street where his neighbors came and went with a nod and a wave. Sam was a hilarious and riveting storyteller, always preferring the long version. He was a person whose qualities seem almost antiquated in today's world, a man of dignity and honor, of infinite patience and generosity, of restraint and reflection, of faith and endurance. Beloved husband of Jan Myers-Newbury; devoted father of David Juan Newbury; brother of Nancy Newbury Andrésen (the late Donald), David Newbury (Catharine), William Newbury (Priscilla); David Myers (Anne), Larry Myers (Susan); cousin to Gilbert Roddy (Susan); uncle of Elizabeth, Caroline, Susanna, Sophie and Cordelia Newbury, Alyson and Amanda Myers. A Memorial and Celebration of Life Service will be held at Sixth Presbyterian Church on Sunday, June 1, 2014, at 1:30 p.m. Please omit flowers. If desired, memorial contributions may be made to Oxfam America (designated for work in Peru) or to Sixth Presbyterian Church. Arrangements by McCABE BROS., INC.
George H Stein has left an In Memory comment for David W Scott. David was an apartment mate during my jiunior and senior years and had a marvelous sense of the absurd. Somehow, many of his stories involved motocrycles and his knowledge of them was encyclopedic. He fell prey to depression and spent years in therapy. George H Stein has left an In Memory comment for Donald J Adams. Don was an apartment mate for my junior and senior year and a wonderful friend. He got an MD and went on to a career in metnal health where he was known for his insights and sensitivity in helping people heal. He was taken before his time by cancer of the lymphatic system. At his memorial service, Beethoven's Moonlight Sonata was played. it was a piece he had taught himself -- without formal training in the piano. Sorely missed.